Connect with emerging grantmakers in the greater Indy area! Join Young Leaders in Philanthropy for an interactive lunch conversation with Dr. Michael Twyman on equity in grantmaking with an emphasis on racial equity in Indianapolis. 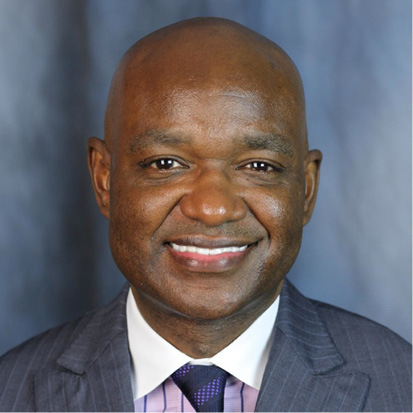 Dr. Twyman is a distinguished subject matter expert in diversity, equity and inclusion with diverse cross-sector and philanthropic leadership experience. This event will be hosted on Thursday, September 13th from 11:30 am – 1pm in the Nexus Room on the second floor of the Salesforce Tower. Space is limited! Please email samantha@thewestfoundation.org to reserve your spot today. Young Leaders in Philanthropy is an affinity group for emerging grantmakers across greater Indianapolis and Central Indiana. The West Foundation curates the affinity group and accompanying learning and networking series for local grantmaking professionals between the ages of 21 – 40 (give or take a few years). These small gatherings provide a platform for an exchange of ideas and deeper relationship building among peers. The West Foundation is a 59-year-old family foundation working in international community development. Connect with other young professionals working as staff members for grant making entities and corporate social responsibility programs in the Central Indiana. Engage in robust dialogue around emerging trends and challenges in the field. Learn from experienced executives and thought leaders guiding philanthropy efforts in Indianapolis. If you are a young leader interested in attending this event, co-hosting a luncheon, or joining the Young Leaders in Philanthropy affinity group, please contact Samantha Alarie-Leca at samantha@thewestfoundation.org.